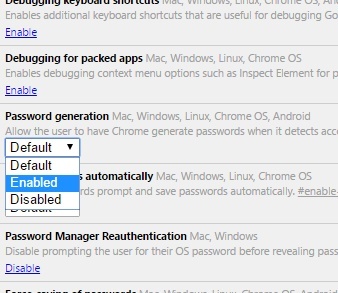 How to automatically generate random secure passwords in Google Chrome? 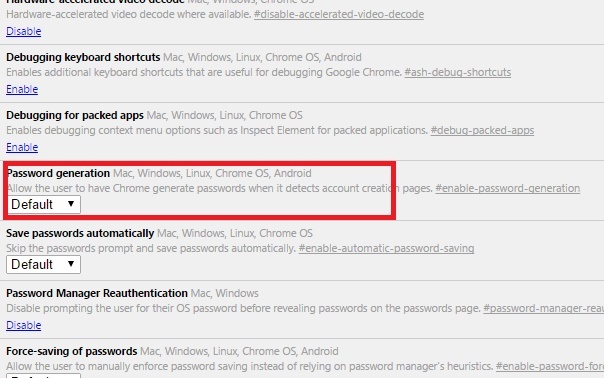 Home > Software Tutorials > How to automatically generate random secure passwords in Google Chrome? Google Chrome is one of the biggest and widely used web browser platforms. Chrome has copious features and some which are beyond your expectation. One such property of Chrome browser is the ability to automatically generate random secure passwords for users. This in-built property of Chrome will suggest users with a list of randomly generated passwords with combinations of alphanumericals and special characters. So if you are trying to sign up to an online service but cannot think of a strong password, then you can use thus auto generation of random secure passwords in Chrome. 1. 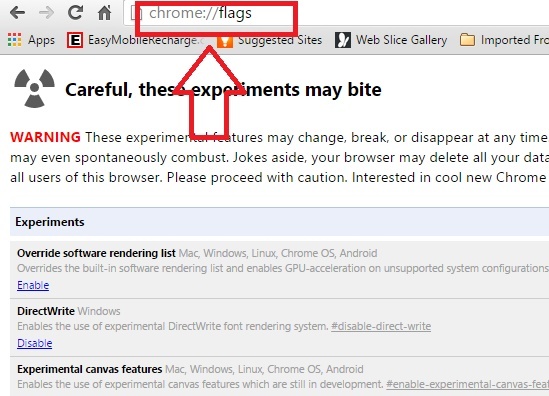 Type chrome://flags in Google Chrome omnibar and hit Enter to open the flags in Chrome. 2. Scroll down and find out the flag Password Generation. 4. A Relaunch Now option will pop up. Click on it to see the changes.